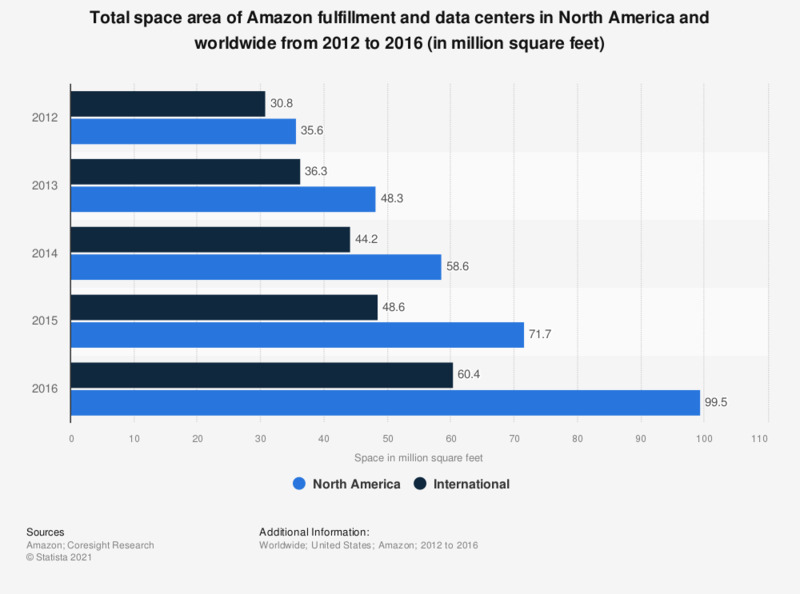 This statistic presents the total space area of Amazon fulfillment and data centers in North America and worldwide from 2012 to 2016. According to the findings, in 2012 Amazon had reported a total of 35.6 million square feet of total space utilized for their fulfillment and data centers across North America. This space nearly tripled in 2016, where fulfillment center space had been reported to be at 99.5 million square feet for North America. Space is for fulfillment, data centers, and other.